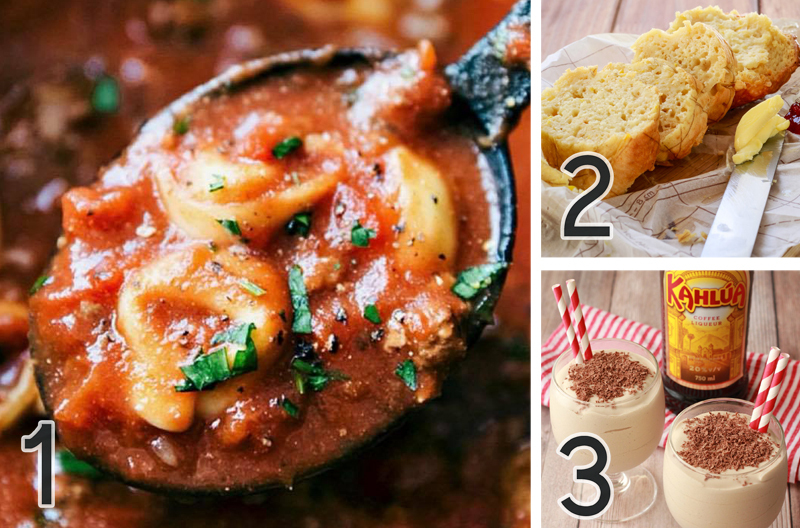 Welcome to another edition of our Foodie Friday series here on The Digital Press blog! 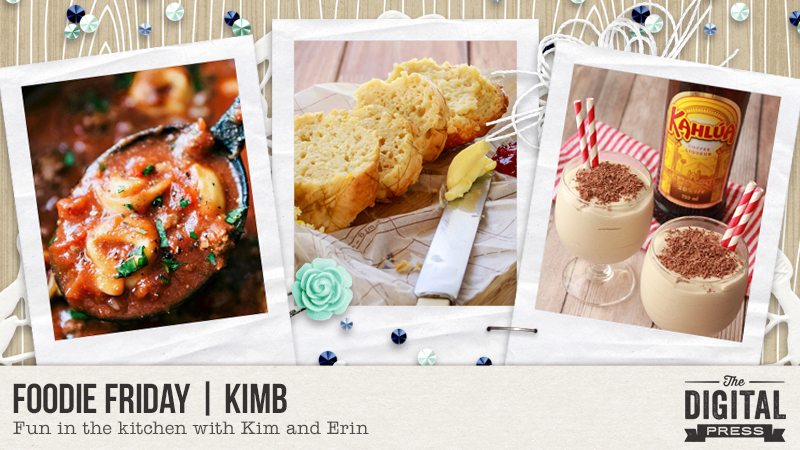 This week, we are featuring KimB, and peeking into her kitchen to learn a few of her favorite recipes. This is Kim’s third feature on The Digital Press blog (if you want to learn even more about her, you can find her first feature article from June 2016 HERE, and her second feature article from February 2017 HERE). So, what are these delicious things you see pictured above? This recipe is one that I, Erin, recently found via a friend on Facebook. It is perfect for warming up on a cold winter day, or enjoying al fresco on a breezy summer evening. Build each bowl with some pasta covered in broth and topped with a huge dollop of the cheese mix! Add fresh chopped basil as a tasty garnish. In a large bowl, sift together the flour, salt and paprika. In a separate bowl, whisk the melted butter, eggs and yoghurt together and stir in the tin of Cream Style Sweetcorn. Pour the sweetcorn mixture into the flour mixture and mix with a wooden spoon to bring together into a soft batter. Spoon the batter into a loaf pan that’s greased and floured, and sprinkle the cheese over the top. Bake in a preheated oven at 170°C for 30 – 45 minutes or until baked through. Or serve with JAM for a sweet version. Add the liqueur and cream/milk and blend until smooth. Pour into a stemmed glass/ or jam jar for a modern twist. Add a swirl of chocolate syrup around glass inner for a ‘sexier’ look… or …replace the chocolate with sprinkled cinnamon. Well I don’t know about you, but I am ready for a good meal! Meanwhile, it wouldn’t be a designer feature week without a fantastic sale and a special Free-with-Purchase offer… so you’ll be excited to see what KimB has in store for you! Not only is her entire shop marked down 30% OFF throughout her entire feature week (sale prices will be valid through 11:59pm ET on Thurs 1/18)… but she also has this awesome deal in her shop all week long, as well! 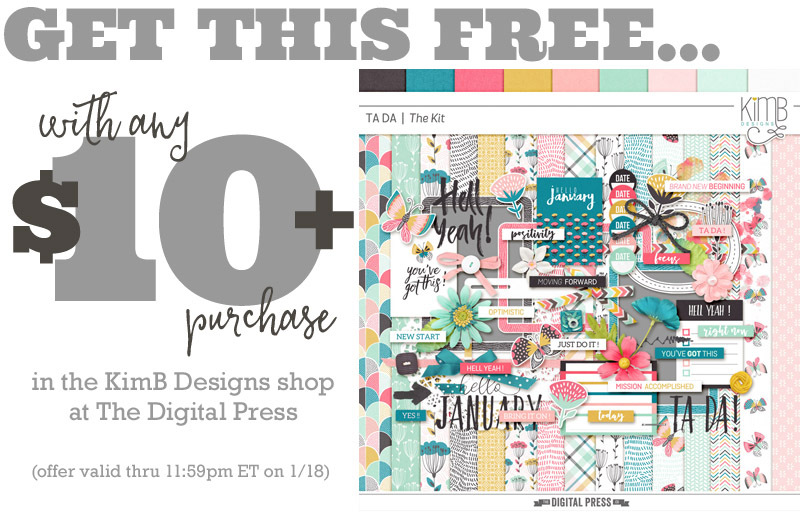 Spend $10+ in the KimB shop at The Digital Press and get her brand-new (just released today!) TA DA : Kit completely FREE!